Cottonwood Suites Louisville Fair & Expo Center is just 4.9 mi (7.9 km) from the airport and offers a free shuttle. Business Center, Fitness Room, Laundry Room, Pet Friendly Designated Rooms . Start your day with our Hot Breakfast Buffet with Surcharge and Full Service Bar and Lounge. 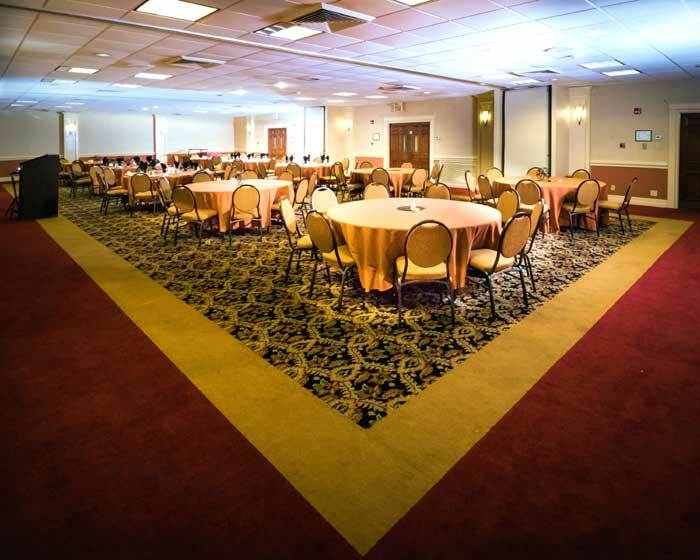 Meetings, Weddings, Business gatherings with setup and AV Equipment with 5,300 sq feet. Flat Screen TV with Premium Channels, Pillowtop mattress, Desk, Coffee Maker, Hair Dryer, Iron and Board. Please note that the Cottonwood Suites Louisville Fair & Expo is temporarily closed for extensive renovations from now until January 2019. We look forward to welcoming guests with an exciting and newly-renovated hotel in 2019! Cottonwood Suites Louisville Fair & Expo Center Hotel is just 4.9 mi (7.9 km) from the airport and offers a free shuttle. After splashing around at the indoor pool. There's also a 24-hour fitness center, and rooms offer flat-screen TVs and room service at this 3.5 Star hotel. Located in Louisville, this hotel is 1.7 mi (2.7 km) from Expo Five and 2.4 mi (3.8 km) from Churchill Downs. Kentucky Derby Museum is 2.7 mi (4.4 km) away. Great Lodging and newly remodeled rooms with great rates at this affordable hotel motel in Louisville Kentucky. This smoke-free hotel has an indoor pool and a 24-hour fitness center. Free WiFi in public areas, free self parking, and a free airport shuttle are also provided. Other amenities include, a business center, and conference rooms. All 171 rooms at this hotel offer free WiFi, and flat-screen TVs with cable channels. Premium bedding, coffee makers, and free local calls are among the other amenities available to guests. By choosing the Cottonwood Suites Louisville Hotel as your destination location, we are committed to providing the best customer service possible. In order to meet this promise, we hire friendly and positive associates who share our Vision and Mission and our core values; who are passionate with helping others, and are obsessed with exemplary customer service. When you place your trust in us by staying at the Cottonwood Suites Louisville Fair and Expo Airport Hotel, we promise to provide you with the best accommodation and lodging stay possible. Our team aims to put a “Smile” on the faces of our guests and we are committed to making it happen! Activities : Louisville, Kentucky is a place with parks, trails and a gorgeous waterfront for when you feel like getting out, and an eclectic entertainment district and neighborhoods for when you feel like stepping out. Airport : Louisville International Airport 600 Terminal Dr, Louisville, KY 40209 (502) 367-4636 The Louisville Regional Airport Authority (LRAA) is responsible for owning, operating and developing Louisville International Airport (SDF) and Bowman Field (LOU). If you are interested in exploring business, employment or volunteer opportunities or reviewing reports and statistics, please click here. Attractions : Watch it, hear it, feel it, see it, sense it, laugh at it, cry at it - but most of all - be in the heart of it. Welcome to Possibility City, where playtime's your time. Casinos : Churchill Downs Louisville KY 700 Central Ave, Louisville, KY 40208 (502) 636-440 An American Icon Horse racing in Kentucky dates back to 1789, when the first race course was constructed in Lexington. Almost 100 years later, in 1875, Churchill Downs officially opened its gates in Louisville, and began its tradition as "Home of the Kentucky Derby" and the longest continually running sporting event in America. Dining : Louisville Restaurants Serve Up Original Eats. Starving for something new? Exciting? Original? You'll find it in Louisville's restaurants, diners, taverns, and take-outs, where the selection ranges from perennial regional favorites to international standards of taste and refinement. Louisville restaurants blend traditional Kentucky cooking with a cosmopolitan mix of eclectic International Cuisine including French, Italian, and Mediterranean fare, Mexican and American Southwest influences, as well as classic Barbecue. Downtown : Get out and Play in Downtown Louisville Downtown is the place to play in Louisville. As the business and cultural center of the region, downtown Louisville is teeming with energy day and night. You can really do it all in downtown Louisville. Start off your day relaxing at a spa before heading out to explore downtown art galleries and boutiques. You can spend a whole afternoon immersed in downtown Louisville's cultural destination like The Kentucky Center for the Performing Art, The Kentucky Museum of Art and Craft, or The Muhammad Ali Center. Send an e-mail This beautiful 9-hole course is named for Louisvillian and PGA professional Bobby Nichols. It has rolling terrain with tree-lined fairways and large, bunkered greens. The course tests your proficiency with irons and rewards a straight tee shot (as Nichols Creek is in play on eight holes). It is located in Waverly Park, which has an archery range, fishing lake, and hiking/mountain biking trails for family activities. The Pro Shop has full concessions. No club rental is available. Government :City Government Customer Service Call: MetroCall 311 or (502) 574-5000 7 a.m. - 7 p.m. Government Menu All City Departments. Hospitals : Kosair Children's Hospital 231 E Chestnut St, Louisville, KY 40202 Phone: (502) 629-6000 For more than a century, Kosair Children's Hospital and its predecessor hospitals have cared for the children of Kentucky and Southern Indiana without regard to their families' ability to pay. Kosair Children's Hospital is Kentucky's only full-service, free-standing pediatric care facility dedicated exclusively to caring for children and is an advocate for the health and well-being of all children. The 267-bed hospital serves as the primary pediatric teaching facility for the University of Louisville School of Medicine. Kosair Children's Hospital received the prestigious Magnet designation from the American Nurses Credentialing Center recognizing excellence in nursing from the American Nurses Credentialing Center in 2007 and again in 2012. Shopping : Shopping and Malls in Louisville KY Shopping in Louisville for Selection and Convenience Louisville shopping is a treat for the distinguishing tastemaker, the committed bargain hunter, and even the casual window shopper. With shopping districts of all stripes located throughout Louisville and surrounding communities, it's no wonder Louisville has become a shopping destination for much of the South and Midwest. To find a specific business or browse Louisville's many shopping options, consult the Louisville Business Directory. University :University of Louisville 2301 South 3rd Street Louisville, KY 40292 Map this(800) 334-UofL (8635) (502) 852-5555 The University of Louisville is a state supported research university located in Kentucky's largest metropolitan area . It was a municipally supported public institution for many decades prior to joining the university system in 1970. The University has three campuses. The 287-acre Belknap Campus is three miles from downtown Louisville and houses seven of the university's 12 colleges and schools . The Health Sciences Center is situated in downtown Louisville's medical complex and houses the university's health related programs and the University of Louisville Hospital. The 243-acre Shelby Campus is located in eastern Jefferson County.